William requested to be buried in the graveyard with his parents. This may indicate that he is buried in the Joe Kelly Cemetery. It also confirms that the first wife of Henry Ellis Fowler, Catherine Puckett, is buried there. William left his estate to the daughters of Sarah Burgess, Polly and Delinda. It is not stated in his will that Sarah was his wife, or that Polly and Delinda were his daughters. Who were they? He mentions his brothers Mark and Womac in the will. This is proof that this William was the son of Henry Ellis Fowler. James Lane and Coleman Fowler were executors to the will. What was Coleman Fowler’s relationship to the Henry Ellis Fowler family? James Lane was a witness to the signing of the will, as well as William’s brother Godfrey Fowler, and Ann Fowler. Who was Ann? The will was signed by William on February 10, 1812, and recorded on March 17, 1812. William was probably one of the younger sons of Henry Ellis Fowler, and very likely, a young man. What made him aware of his imminent death? Did he have a sudden illness or accident that motivated him to prepare his will? Notes of interest: in the following document………..
Mary Fowler is mentioned; was she the second wife and widow of Henry Ellis? Lodge #53 is mentioned. What kind of lodge could this have been? There are two doctors mentioned. Were these doctors used for a final illness? It is hard for me to read the names. Dr. __ O. Walker? Dr. D Reaves? Schooling for the legatees (Polly and Delinda) was an expense. Where were they schooled? There is a charge for their support and clothing from a store that is named. I cannot read the name of the store. Where was it? Kelly? Jonesville? Union, or elsewhere? There is an expense for surveying land. I need to look for land transactions for William. There was an expense for travel to Newbury (Newberry) for the estate. Why? One Mark Fowler is designated as “son of John” and another Mark Fowler as “son of Ellis” (these two Marks would have been Mark, the son of John “the elder” and wife Fanny, and Mark, the son of Henry Ellis Fowler and first wife Catherine Puckett. William Johnson is mentioned. 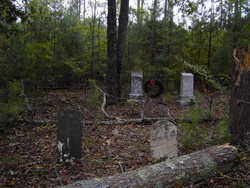 He was a neighbor to the Henry Ellis Fowler clan, and possibly the father of Jasper Fowler’s wife, first name unknown. Womac Fowler, Godfrey Fowler, John Fowler Senior, and Ephraim Fowler are mentioned in the document. John Fowler “the hatter” is mentioned, as is John Fowler Senior. Godfrey Fowler and Ephraim Fowler are also mentioned. The settlement of the estate was certified by June 5, 1812, and recorded June 9, 1812. Coleman Fowler was able to sign his name and not make his mark with an X.